Our models are sexually liberated and aren’t intimidated by society’s prejudices against cannabis and a woman’s sexuality. They’re comfortable with their bodies and know they can do whatever their hearts desire. Are you a model or a photographer? Do you want to be part of Weed Girls? This is your chance! 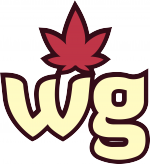 Since many people have contacted us from a lot of places wanting to be part of Weed Girls, we’ve changed the way we generate content and, from now on, you can be part of our team, no matter where you are. To access all of our girls’ exclusive content, promotions and stay up to date on our special events, all you have to do is click. Become a part of our community and take part in the evolution of one of the boldest cannabis-related projects on the internet.